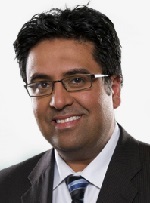 Jas Johal was elected MLA for Richmond-Queensborough in 2017. He is the Minister of Technology, Innovation and Citizens’ Services. Jas Johal is an award winning journalist and has spent over 23 years extensively traveling B.C. covering news and current affairs, focusing on a wide range of issues ranging from politics, business, transportation, health, and organized crime. Jas Johal has served as Global Television’s Asia bureau chief based in Beijing, and in New Delhi. Jas also reported from conflict zones including Afghanistan, Pakistan, Korea, Israel, and Lebanon. In Egypt, he witnessed the grass-roots revolution in Tahrir Square that ended Egyptian President Hosni Mubarak's 30-year reign and was in Tripoli, Libya covering the final days of Muammar Gaddafi's regime. In 2014, Jas produced, “Our Energy Future: BC At A Crossroads.” The one-hour long program looked at Asia's energy security needs and the impact on Canada. was most recently the Director of Communications at the BC LNG Alliance. Formed in 2014, the Alliance is the voice of British Columbia's liquefied natural gas export industry. Now, as the BC Liberal candidate for Richmond-Queensborough, he has an opportunity to use that voice to do even more good work, this time from inside the Legislature. Johal ended up with 8,225 votes compared to DP competitor Aman Singh’s 8,101, after Elections BC counted 1,902 absentee ballots this week. B.C. NDP announced Amandeep Singh as its candidate.Singh had a successful immigration and criminal law career in the early 2000s before, he said, alcoholism destroyed his life in 2008.He was born in India, moved to Hong Kong until he was 18, and then went to school at the University of California, Berkley, which kick-started years of activism and civil rights work that continued into his current legal work.